The basic public address mixer amplifiers have power ratings from 60W, 120W, 240W, 350W, 500W to 650W. 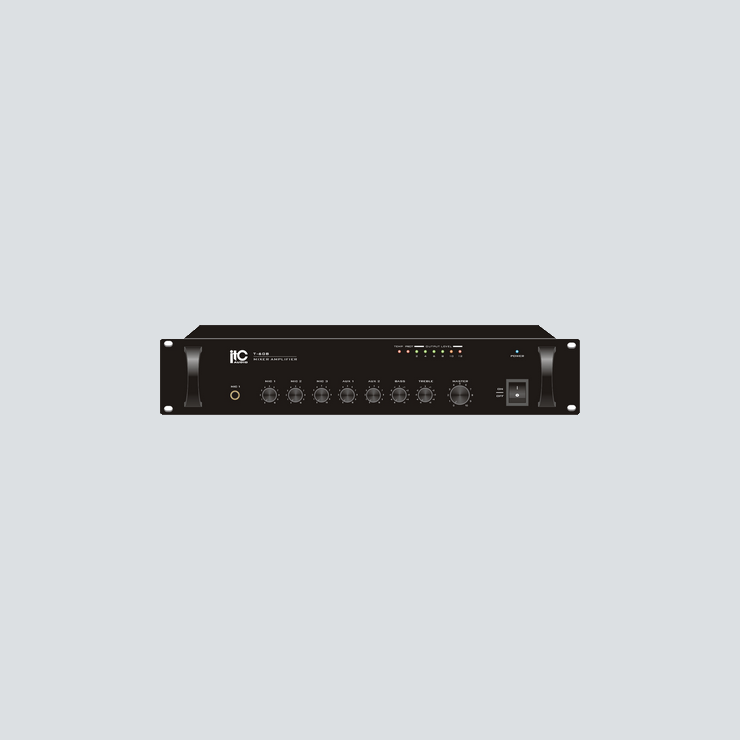 They are featured of 3 microphone inputs, 2 aux inputs and 1 EMC input. Both balanced and unbalanced line inputs make it selectable for installer, balanced line output feeds to another power amplifier as well as secures the signal transmission is less noise and longer distance. 70V, 100V and 4-16ohm speaker outputs are convenient for installation when selection different speaker matching. A master volume control is included. Complete protection includes clip, short circuit, high temp and overload. Indications for power, signal, clip, protection and temp.